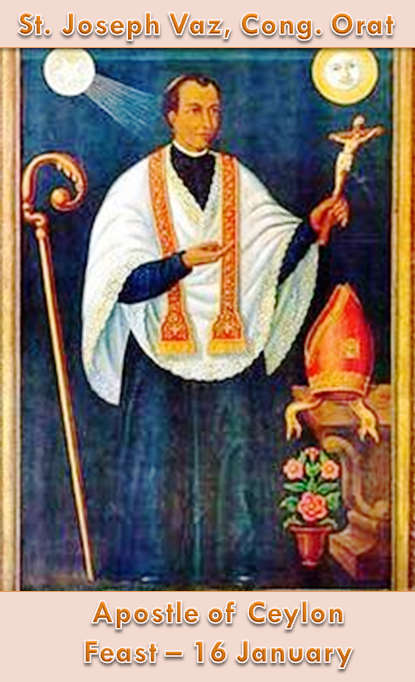 Indian-origin Catholic missionary Joseph Vaz – Sri Lanka’s First Saint. Joseph Vaz, CO,(Tamil: புனித ஜோசப் வாஸ் , Konkani: Bhagivont Zuze Vaz, Sinhala: Santha Juse Vaz Piyathuma, Portuguese: Santo José Vaz), 21 April 1651 – 16 January 1711) was an Oratorian priest and missionary in Sri Lanka, then known as Ceylon. Vaz arrived in Ceylon during the Dutch occupation, when the Dutch has imposed Calvinism as the official religion after taking over from the Portuguese. He travelled throughout the island bringing the Eucharist and the sacraments to clandestine groups of Catholics. Later in his mission, he found shelter in the Kingdom of Kandy where he was able to work freely. 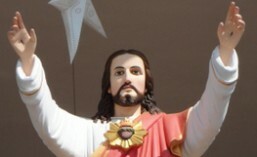 By the time of his death, Vaz had managed to rebuild the Catholic Church on the island.